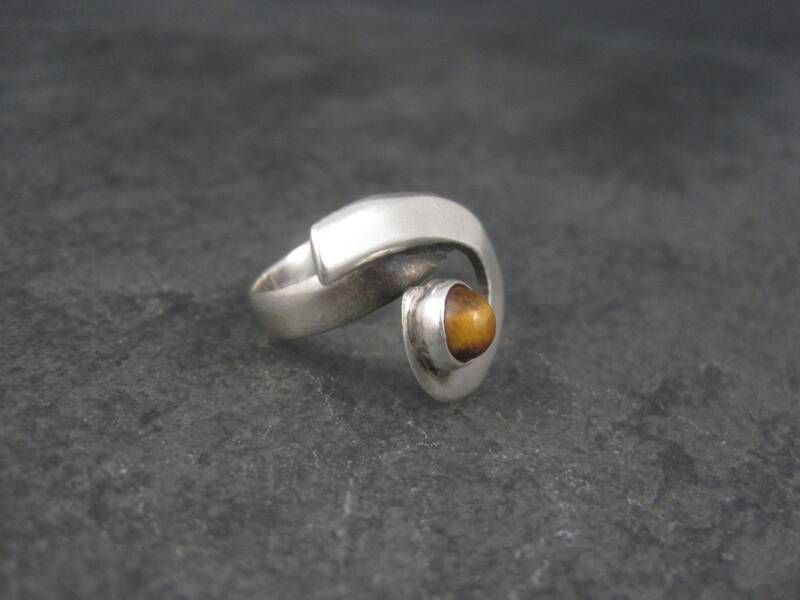 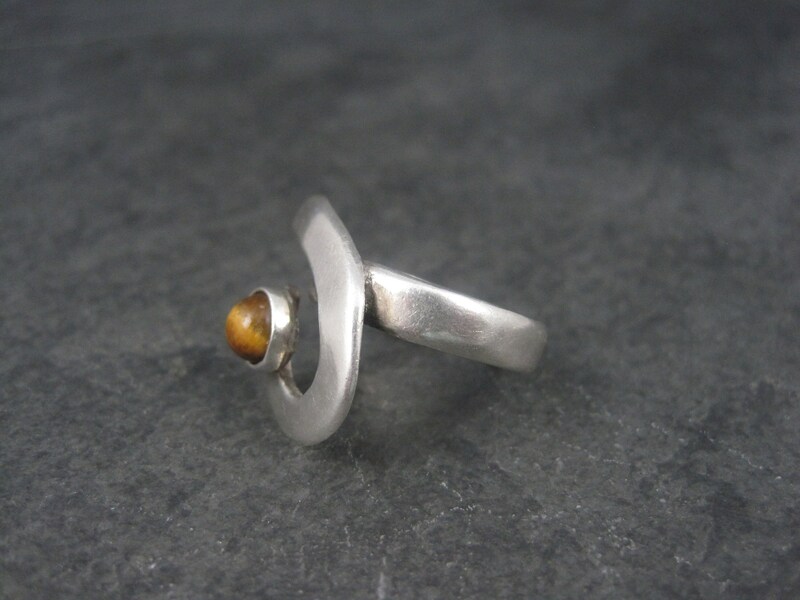 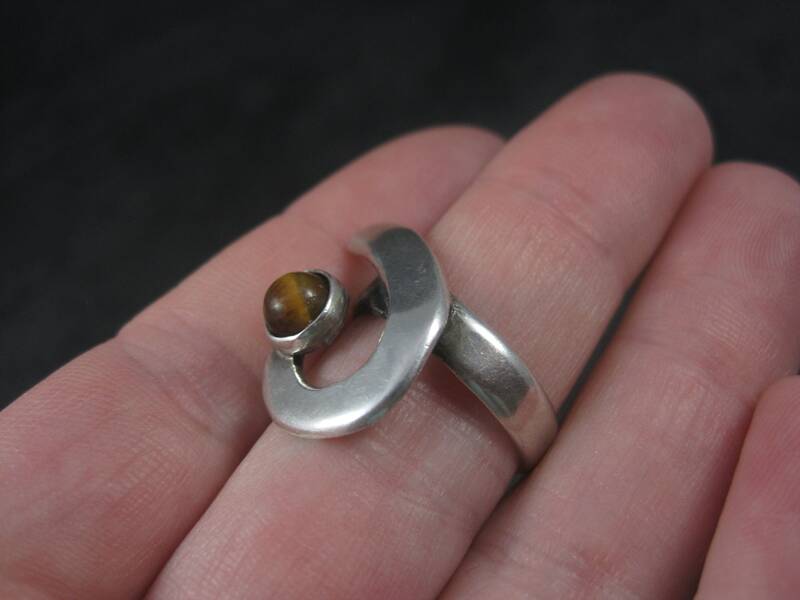 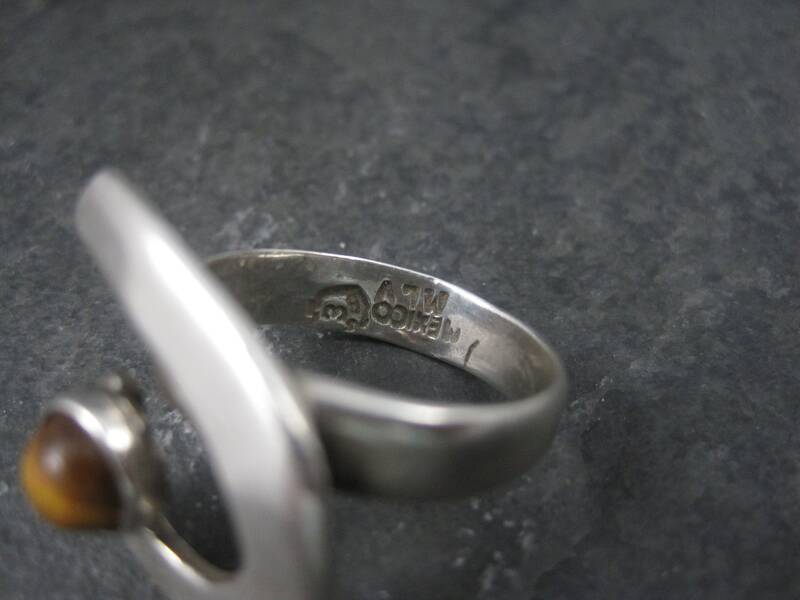 This beautiful Mexican ring is sterling silver with a modernist design. 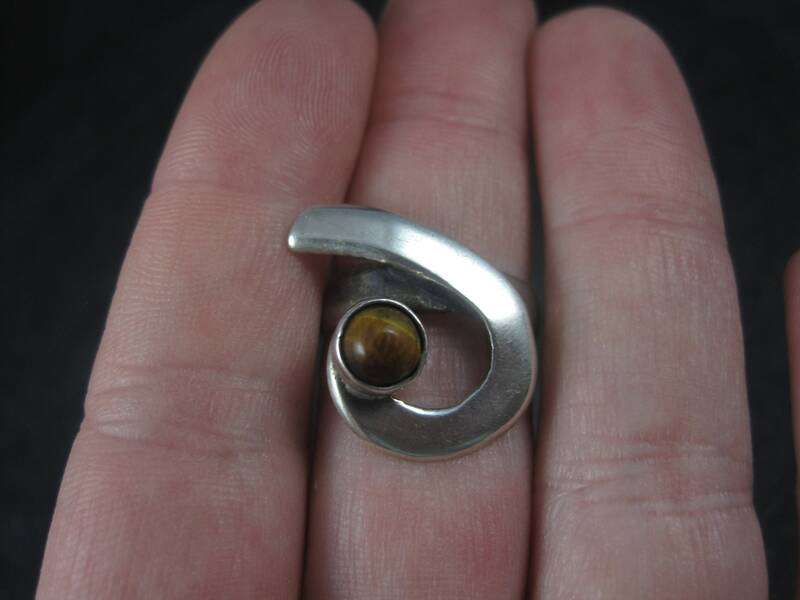 It is the creation of Mexican silversmith Margarita Vera Laguna. 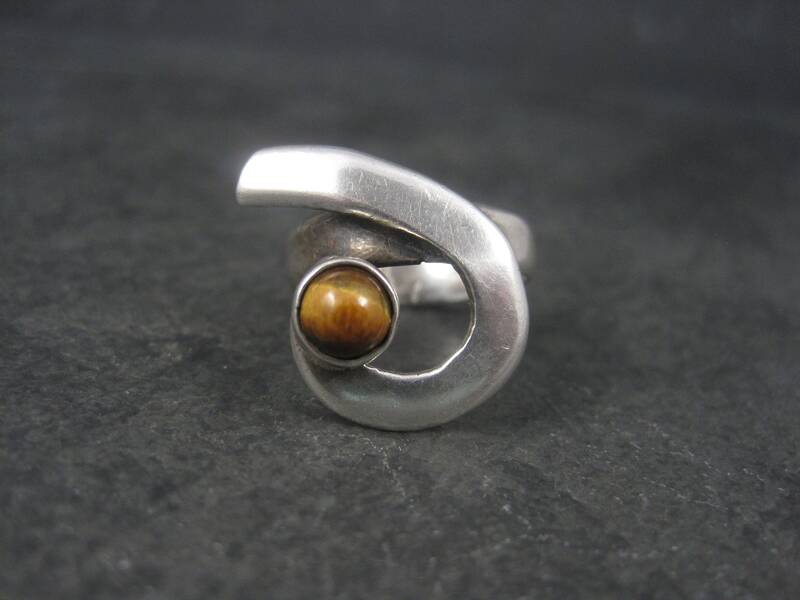 It features a 5mm tigers eye gemstone. 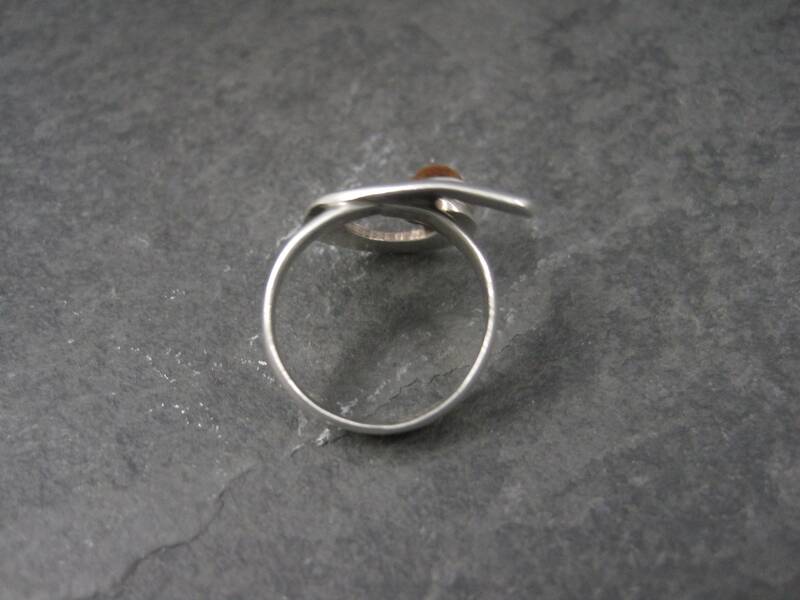 The face of this ring measures 5/8 of an inch east to west and 7/8 of an inch north to south.